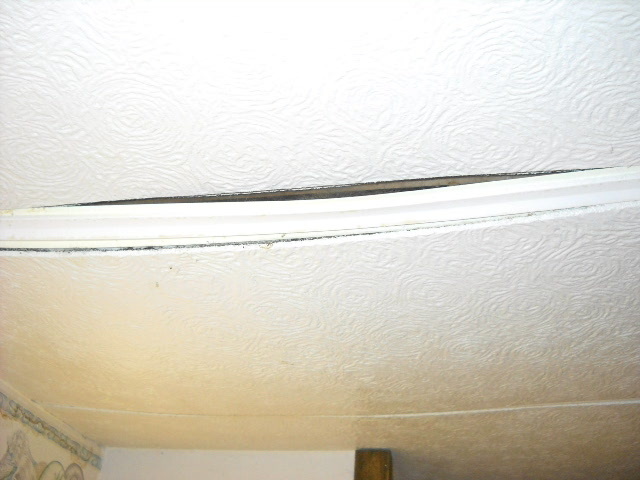 The Story of a Leaky New Roof!!! The roof on my old mobile home was old and weathering and the asphalt shingles were loosing some of the surface aggregate with each rainfall. The roof only had one minor leak which was above the swamp cooler, and then only during heavy downpour. I got three bids for a new roof in the spring and early summer of 2011. I accepted the second lowest bid over the lowest one in that the second lowest bidder had such a good reputation with my neighbor who lived two doors down. I called the roofer several times over the summer to see if he could tell me approximately when he would be here to do the job, and if he could give me warning a few days in advance so that I may disconnect the swamp cooler and remove it's water supply line to saftey - all to no avail. The roofing crew showed up totally unannounced on November 3, 2011 after cold weather had already set in, and finished the job by the middle of that afternoon. I paid the fee and the roofer said that roof should be good for thirty years! During the first winter of 2011-2012, I got a little water into a couple living room windows, but I could not relate it to the roof, so said nothing. The first summer of 2012, the roof did not leak from rainwater. 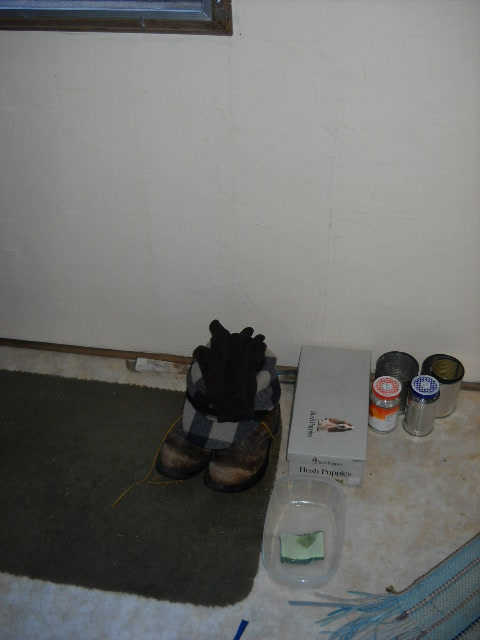 The second winter of 2012-2013, there were water drips in a dozen places inside my house, and outside here and there, icicles brown with roofing tar were coming out undneath the shingles at the eaves. Apparently, ice was building up on top of the shingles at the eaves and damming up the meltwater from above, causing it to backflow underneath the shingles. Summer of 2013, the roofer came back and installed 'ice guard' under the shingles around the eaves. Some of you may know this as 'ice and water'. This was the first 'remedy', and in my opinion, cheap, piddling, and ineffective. The third winter of 2013-2014, nothing was changed, the roof still leaked in all the usual places. NOTE that this roof only leaked from ice buildup during the first few winters. 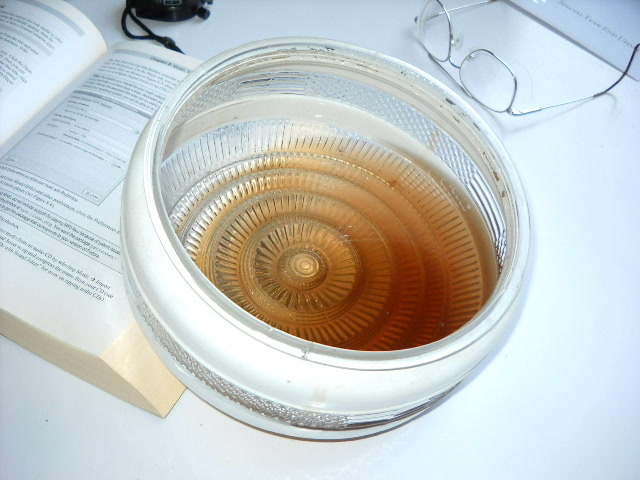 It did not leak from rain water until more recently. Summer of 2014, the roofer came back and removed the vented ridge to eliminate that as a possibility. Solid unvented ridge was installed. This was the second 'remedy', and in my opinion, cheap, piddling, and ineffective. At that time, the roofer said he may have to start over from scratch with another new roof. Winter of 2014-2015, nothing was changed, the roof still leaked in all the usual places. I exchanged E-Mails (April 4, 2015) with the roofer's then secretary to let her know that the roof still leaked. I asked her to tell the roofer that it was time to start over from scratch with the new roof when the weather warmed. We had already discussed that as noted above. I asked her to ask the roofer if maybe a steel roof would be more appropriate and that I would be willing to pay the difference between asphalt shingles and a steel roof. She said she would tell him. Spring of 2015, the roof also started leaking from rain water. I called the roofer to invite him over to see. He said, "No, I trust you". He said he would start over with another new roof and we talked about maybe installing a steel roof instead of the asphalt shingles. The roofer said he should be able to make asphalt shingles work. I called him again in October 2015 saying I though I would have heard from him before now. He said, "I am hoping for a few more weeks of good weather". He did not show up, and I called him again in June 2016 to find that he had "no recollection" of this project, "drawing a blank", he said. He said to call the office and leave a message there which I did, but of course, still no response. So - the "starting over with a new roof" was a probably a lie designed to run out the 'statute of limitations', which is four years in this case. That worked, too, because I trusted him to do what he said! I went to the Building Department at city hall and told this story to their secretary. She said that they could do nothing. She looked up my address and found that the roofer did not get a building permit which is required for jobs of more that $3,000. Also, since no building permit was obtained, the job did not get inspected by the city building inspector. 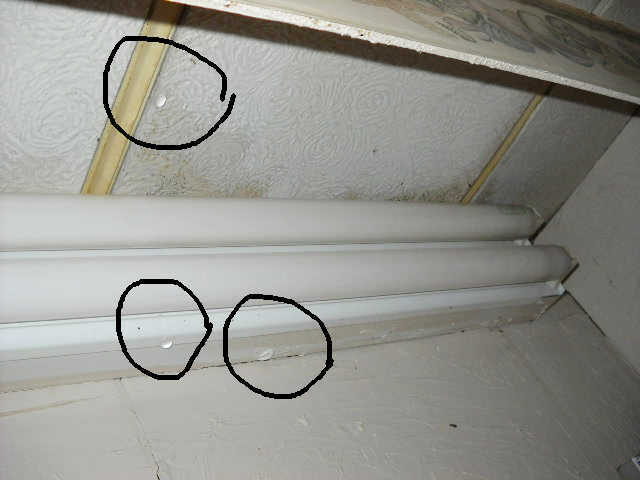 Had it been inspected, the inspector would have found that the exhaust vent pipe for the gas hot water heater was not attached to the hot water heater. I assume this happened when the roofers re-installed the roof jack and no one went inside the hot water heater compartment to properly attach the vent pipe. The gas hot water heater had been venting the products of combustion directly inside the house for an extended period of time before I found out. This vent pipe was properly attached some time earlier when I replaced the water flex pipes to the hot water heater. I really should have 'read between the lines' when my neighbor so highly recommened this roofer. He just had installed his second roof in seven years on the same house by this same roofer. I am out my money as there is nothing more that can be done. I will get more estimates and start over on this roof project next summer. In the mean time, in order to protect the interior of my house and it's contents from the leaks, I have to go up onto the roof and shovel off the snow after each snowfall. This is not something anyone in their mid seventies should be doing! Ths shingles on a sound roof should shed water. In other words, water should stay on top of the shingles and run off the roof at the eaves AND drip from over the top side of the shingles. The new asphalt shingles are made of a tar like substance with an aggregate on the top side. Other components used in the construction of a new roof also have a tar like substance, and sealing tar is also used in various places. Water that leaks down through the new (or newer) shingles will become discolored by the above mentioned tar. One of the best indicators of where the water has traversed is the placement and color of the icicles which it leaves behind in freezing weather. In the photos below, icicles can be seen which come out from underneath the shingles and roof sheating. Some of these icicles are discolored by the roofing tar, which indicates the water flowed underneath the shinles. After a time, the flow of water inderneath the shingles washes out all the free tar, and the icicles do not take on any discoloration. Once one has seen a number of pictures of drips from the ceiling or icicles in their various conditions, one has pretty much seen them all. Because of this I took fewer photographs after the roof started leaking in earnest during the second winter. I only took the photographs to convince the roofer that he was not done with the roof! Some of the drips inside the window frames do not lend themselves well to photography. Drips inside the north bedroom window, and one living room window, and both kitchen windows fall into this category. The following group of photographs have been taken after the second, and last, of the two 'remedies', which was replacement of the vented ridge. Note that as this is written, the roof still leaks in ALL the places observed in ALL the photographs in the seperate sections below. This is what the roofer left me with! 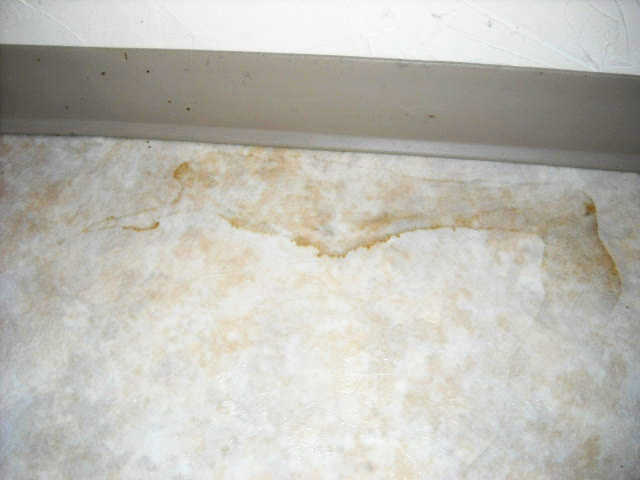 Evidence of a roof leak. 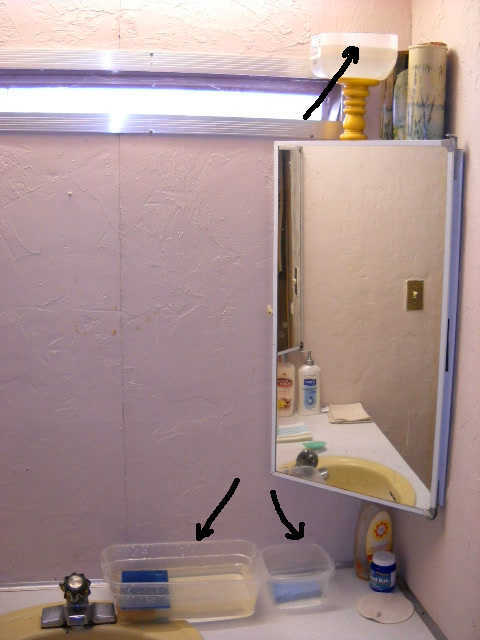 Kitchen container used as drip catcher in hallway to bathroom. 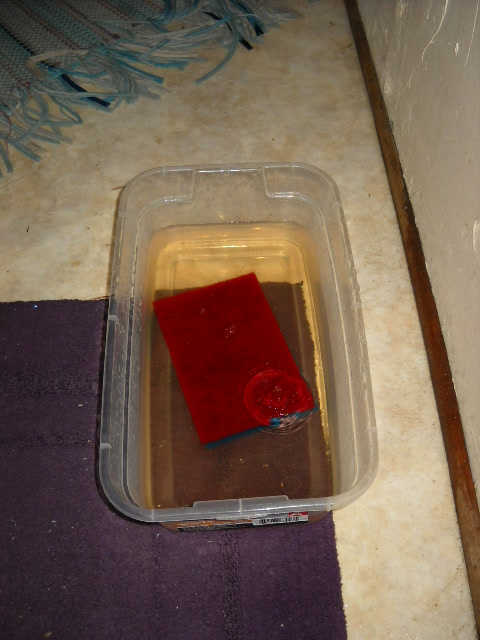 I put a sponge inside the container to deaden the sound of drips in ths still of the night. Globe from a light fixture in the kitchen. Water contanimated by roofing tar which ran into light fixture. Stains of roofing tar left behind by an evaporated puddle of water on the living room floor. 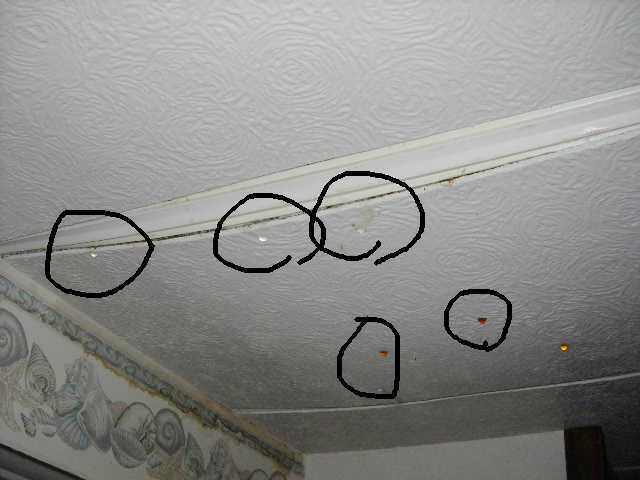 More evidence of a roof leak. Stains of roofing tar left behind by an evaporated puddle of water. This spot is about eight feet south of the above picture. Containers to catch roof leak drip water. Some of the drips which were being caught by the containers in the above picture. There is one at the far right at bottom of light fixture which does not show in this picture. These drips are a couple feet east of the drips in the above picture. December 2016, fourteen days after above picture. 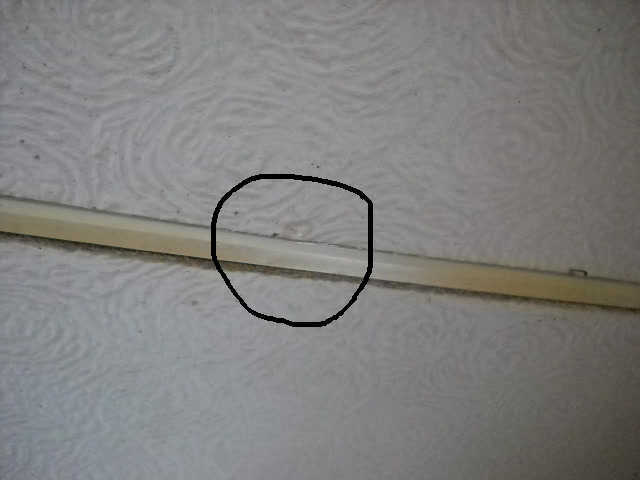 Ceiling panel threatening to fall out! I had to fasten a couple wood slats accros this panel to prevent it's collapse. This is what I get for not getting the snow shoveled off my roof in a timely manner! Drips from the moulding and door frame from water coming down inside the wall above the door. One drip looks much like another, and after the first winter, I got tired of photographing the same thing over and over again and took fewer pictures. From inside the window looking to the outside. 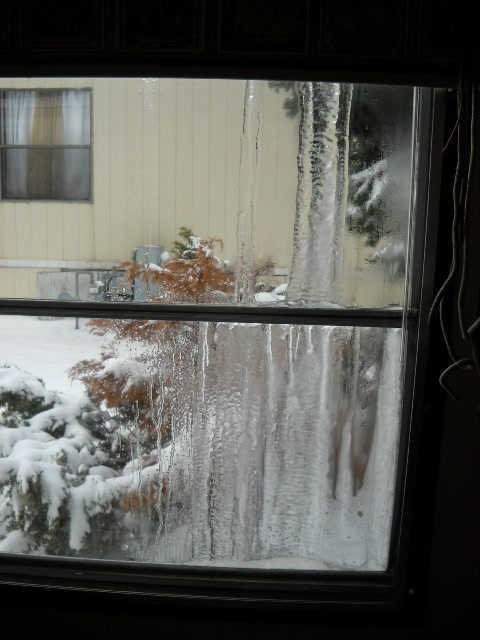 These icicles are running flat against the window. They are formed from water which came out underneath the shingles and roof sheating and coming down flat against the siding panels. 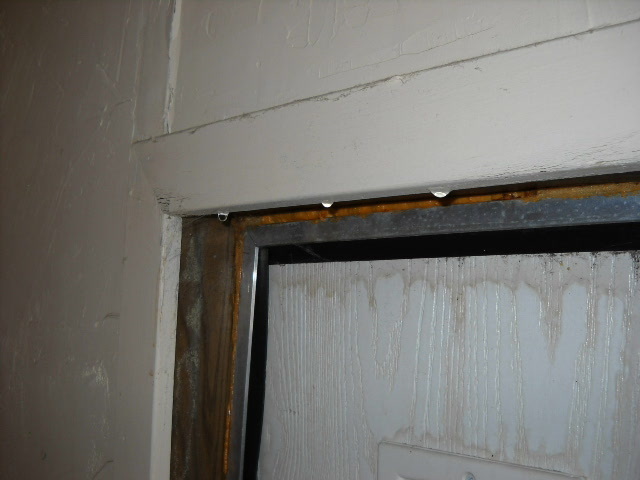 There are also drips inside the house from inside the top of the window frame and dripping onto the bottom window sill. 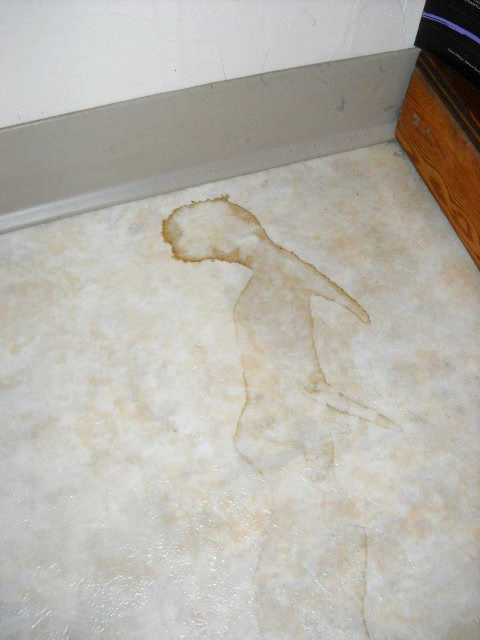 A drip coming out of the kitchen ceiling. Bottom center right, the kitchen container to catch the drip in photo 11537 above. Last Modification March 8, 2017.